is an annual project of Laguna Lăng Cô with the aim to enhance the better living quality in winter for disadvantaged families at Phu Loc district. 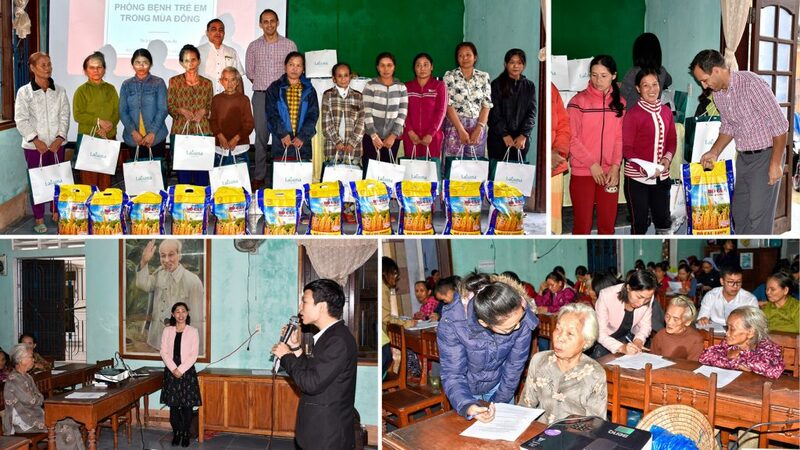 On this day, a practical training of “Prevent winter sickness for children and the disable” was conducted for 60 kindergarten teachers/local people with the lead of Ms. Dam Thi Kim An – Master of Medical Social Work, Dean of Faculty of Nursing department, Da Nang university of Medical Technology and Pharmacy. Thanks for the sponsor of golfers from “Cobra Puma Pro Am 2017” which was held at Laguna Lăng Cô in Sept 2017 , the program were also able to bring 30 gift sets to 30 underprivileged families as well as renovate house for underprivileged family in Loc Thuy commune.